SBA All-stars, Pat Da-Roc, Zeke the Freak aka SuperNatural, and Southern Comfort represented American Street Ball to the fullest during Indonesia's CrushBone Basketball National Championships hosted in Jakarta, produced by Star Mild Entertainment and the Street Basketball Association. The SBA Sports Management and Entertainment Group was contracted to provide three of the top SBA All-stars to compete and entertain at the Grand Finale of the National Championships in Indonesia. Southern Comfort had the rowdy capacity crowd of over 12,000 spectators in amazement. 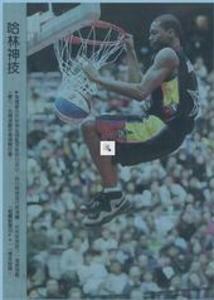 At one point in the alley-oup demonstration, Pat Da-Roc sent the crowd into hysteria with his patented soccer style back-heel rainbow pass over his head to SuperNatural who in mid-air caught the innovative pass, brought the ball through his legs, then finishing way above the rim. The crowd at this point lost their minds not seeing such an amazing level of athleticism and timing on a basketball court. 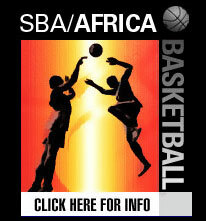 The competition and shows where played in a venue similar to Nike BattleGrounds with the SBA All-stars entertaining the crowd on a court enclosed in a cage and surrounded by huge bleachers surrounding the center-caged show court. It became immediately apparent to the SBA All-stars how big and serious the event was going to be and how excited the Indonesian culture was to see some of the top professional street ballers live as soon as they arrived in Jakarta. At the airport and throughout the city were huge billboards promoting the event with life-sized photos of the SBA All-stars. In addition, to the Show and CrushBone Competition, the SBA All-stars were to stay true to the Street Basketball Association's mission of being dedicated to spearheading the growth and development of the street ball industry and introducing street ball on an international, global level. The SBA All-stars conducted a number of interviews on several national television and radio stations throughout Asia as well as promoted the event with a series of instructional clinics and street ball free-style dribbling and dunking demonstrations for basketball enthusiasts in Indonesia being introduced to American street ball for the first time. Overall, the SBA All-stars had an excellent trip to Indonesia and would like to thank Star Mild, CrushBone National Championships, Agung Agusta and the street ball fans in Asia for showing so much love and support. The SBA looks forward to upcoming international initiatives with similar promotional trips scheduled throughout Europe, Africa, South America, and China.